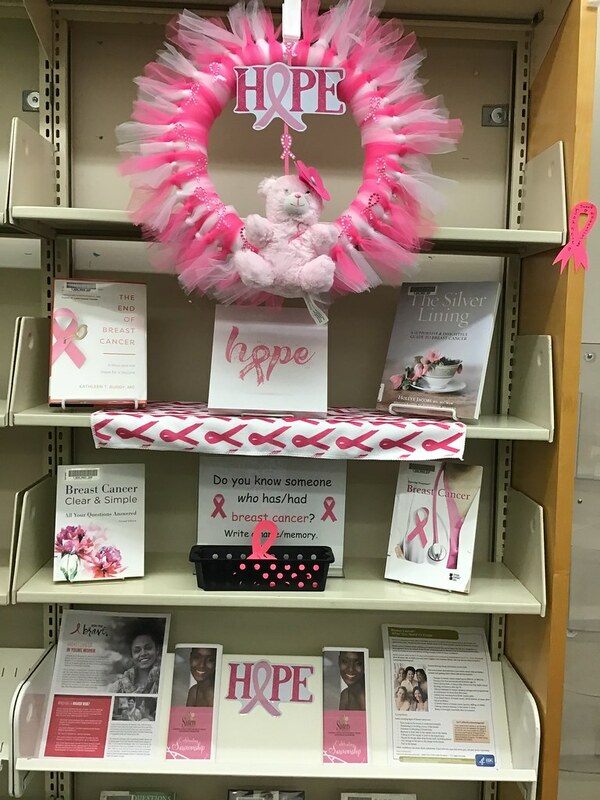 October is Breast Cancer Awareness Month, and High Meadows Branch Library has put together a display to honor the fight against the disease. Breast cancer touches nearly every one of us in some way. Most of us know someone; whether it is an aunt, mother, cousin, or friend, who has battled breast cancer. • Books that about survivors and question about breast cancer from your leading experts. • Pamphlets about: Breast cancer in Young Women, What You Need to Know and organizations for survivors. If you are unable to stop and visit our display; please email us (hm@hcpl.net) the name/memory of the person, you would like to celebrate and I will write name/memory on the card.